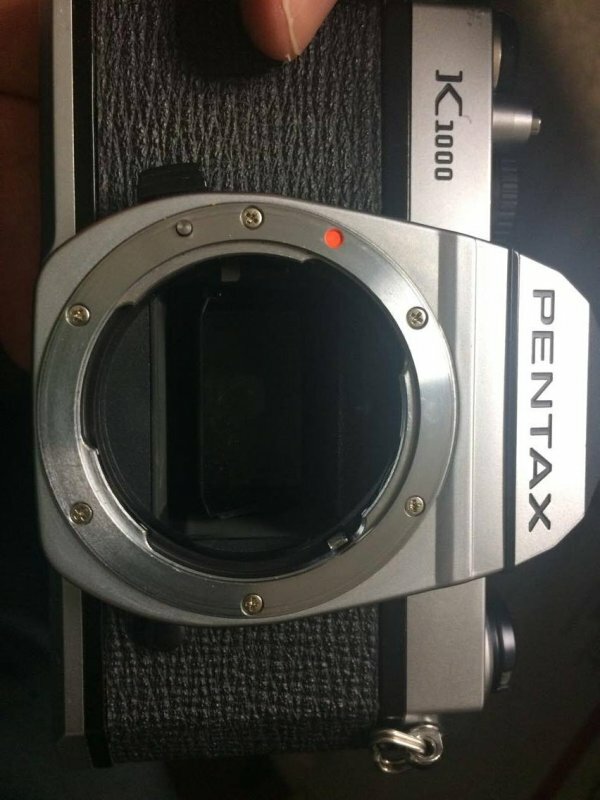 Hey guys...I just this morning received a K1000 to add to my Pentax M42 collections. I guess this makes me a K-mount virgin. 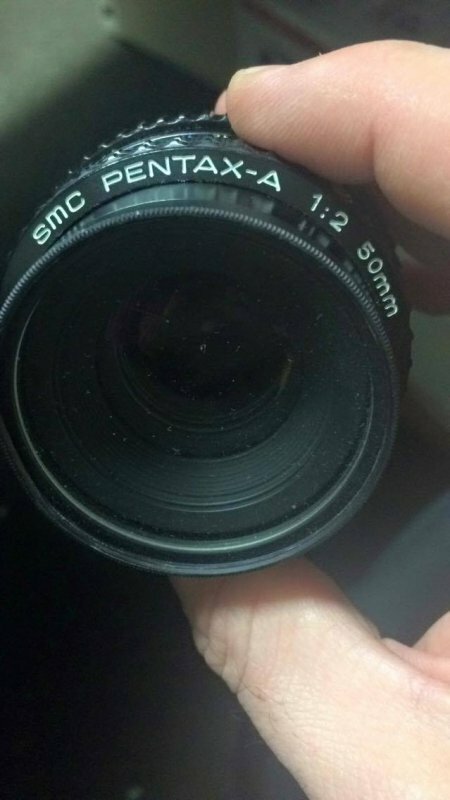 Anyway, the camera came with two lenses: a Pentax-A 50mm f/2, and a Sigma 100-200mm zoom f/4.5 Macro. The Sigma mounts right up, twists and locks to the frame of the camera....the 50mm will not. It slots up (lining up the dots) but will not turn at all. 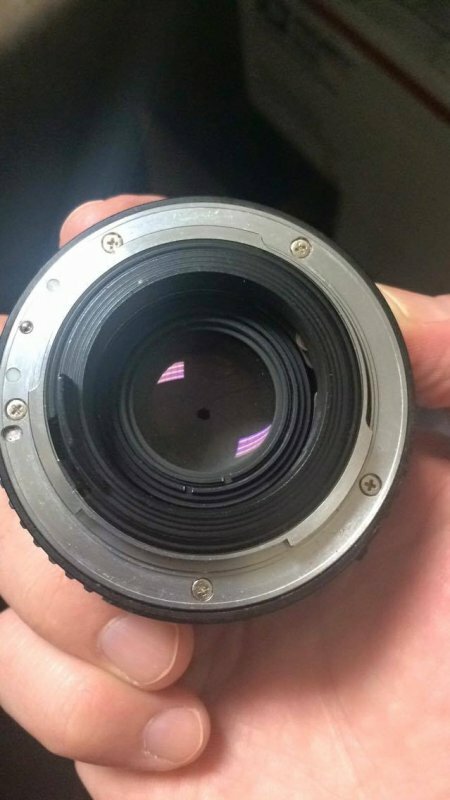 I'm certain there is a trip lever or something inside the lens I need to release somehow, but don't know where to start. No trip lever in a K- mount. I suspect your lens is damaged. 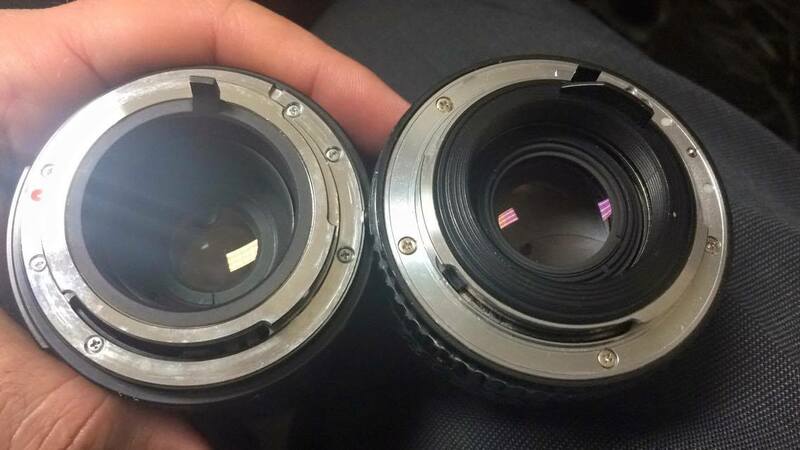 Carefully compare the bayonet end of both lenses, looking for very slight differences. No trip lever in a K- mount. If it will not turn, do not force it. It is very likely that one of the couplings (there are two) is bent out of alignment. Yeah...it does appear (using a 1/100ths metal ruler) that one flange is out of spec with the rest...and with the other lens..hmmm...junk I suppose. Anyway, safer to count my loses on that particular lens I think. Not certain a 50mm f/2 is worth losing sleep over. 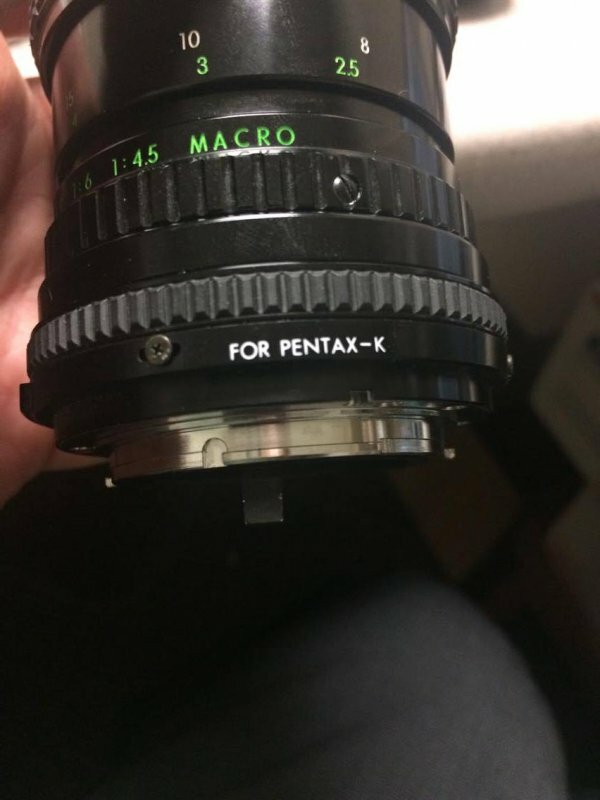 Does the sigma lens require a k-bajonette adapter to be mounted on the body? Maybe it is still connected to the body and this won't allow you to mount the 50mm. The sigma is made for k mount. The camera is bare camera. I think it's toast. Can you post some pictures of the lens and camera's mounts? Thanks! It would be great to not have to shop for another lens...! If you're going to trash an A50/2, which can be a fine, sharp normal lens, consider the use of two needle nose pliers and judicious bending of the bad flange. You can't make it worse, I don't think. All times are GMT -7. The time now is 09:38 AM. | See also: NikonForums.com, CanonForums.com part of our network of photo forums!